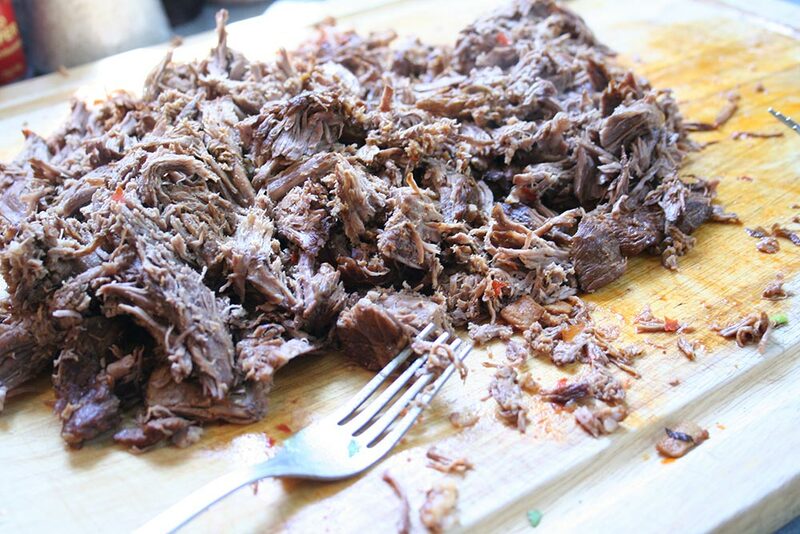 I’ve tried a variety of ways to make shredded beef. 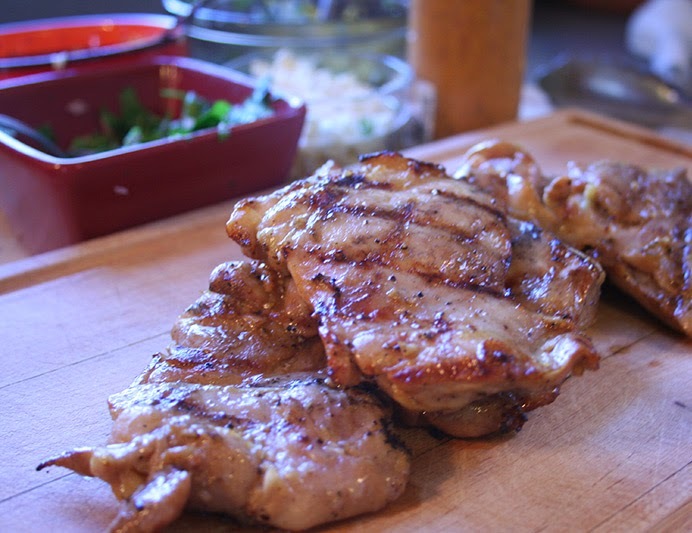 I’ve cooked it down with beer and with a variety of different dried chile pepper combinations. 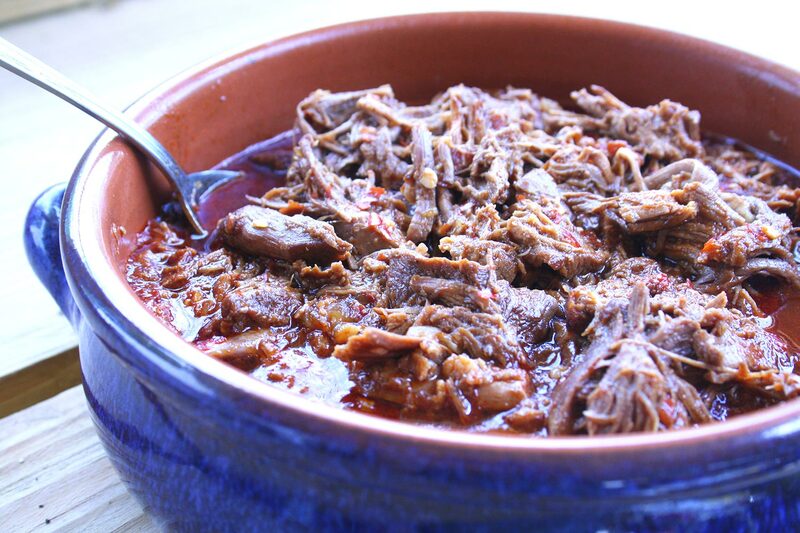 I’ve settled on this version which is a variation on the Coca-Cola Shredded Beef from the great cookbook, Amor Y Tacos. 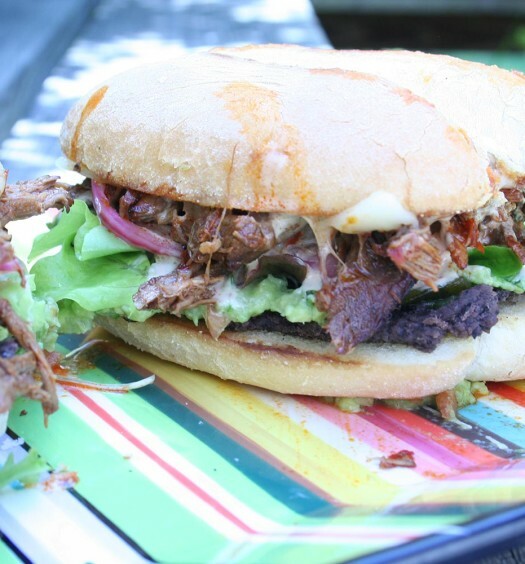 I made this to use in tortas, but it would be great on it’s own, in a taco, or in a quesadilla. 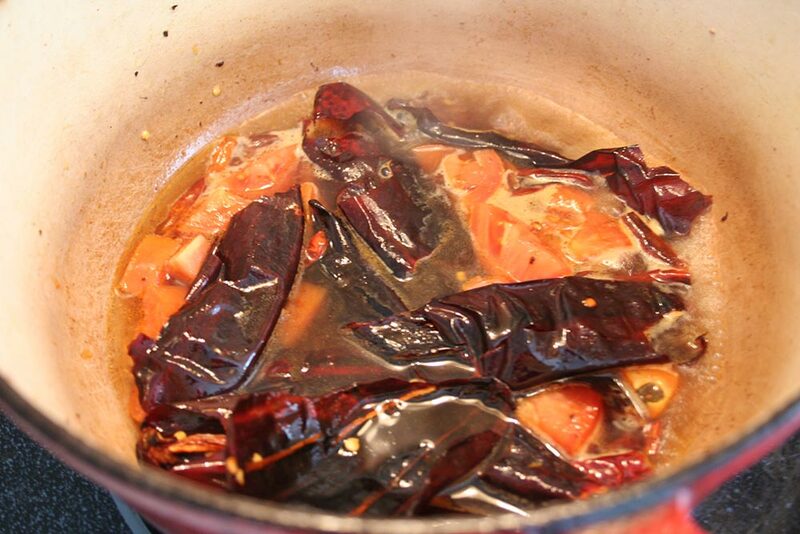 I’ve added a few arbol chilis for spice. Leave them out if that’s not your thing. In a large dutch oven on medium high heat, cook bacon until rendered. Remove back pieces and reserve. 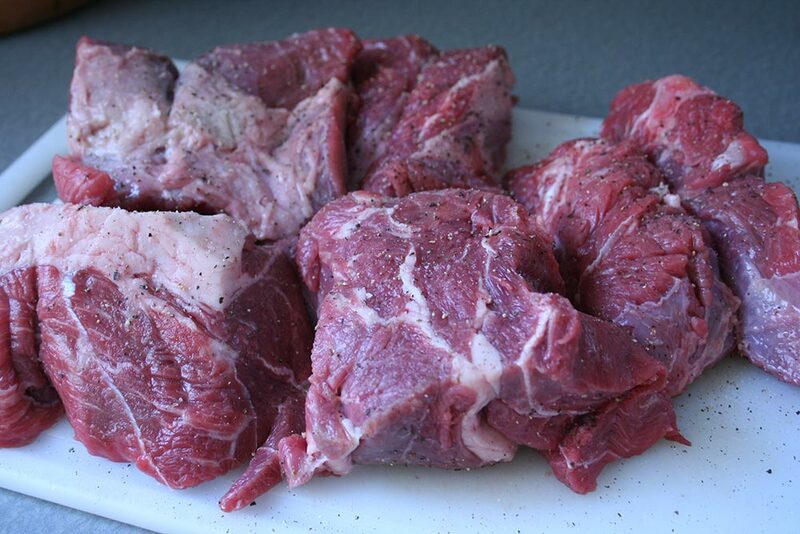 Season beef with salt and pepper. 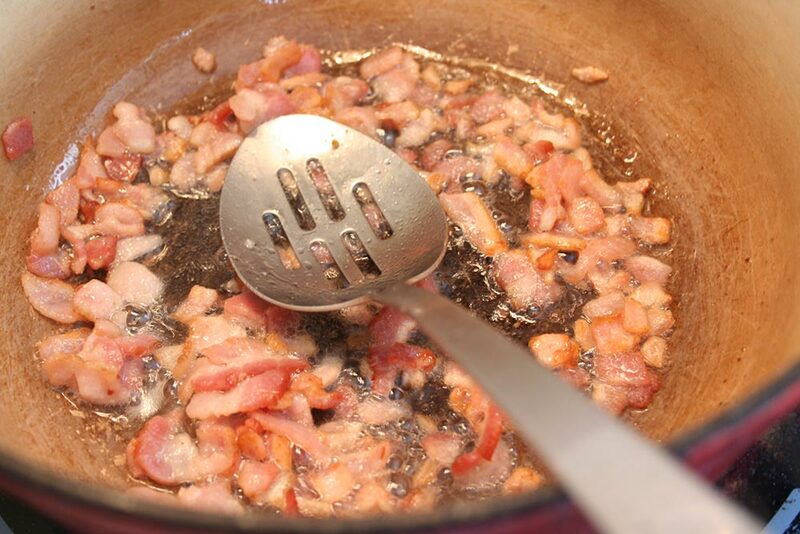 Add beef to rendered bacon fat and brown on all sides. 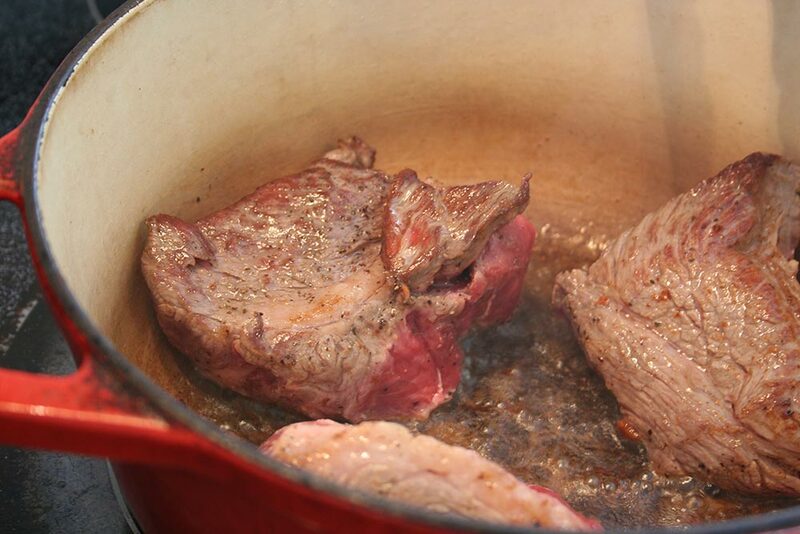 Remove beef from dutch oven and set aside. Lower heat to medium and add chiles, tomatoes, and 1/2 cup water to dutch oven and cook for 10-15 minutes until chiles are soft. 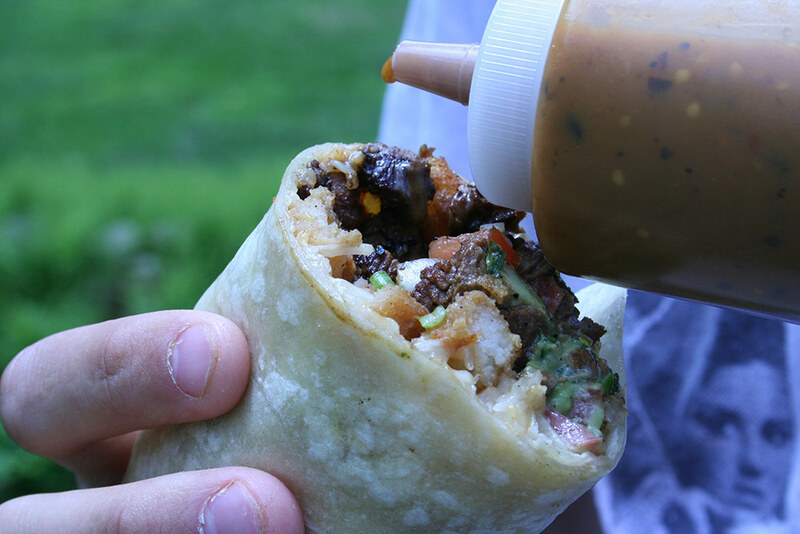 Pour chiles, tomatoes, and water into a blender. Add can of coke and blend until smooth. 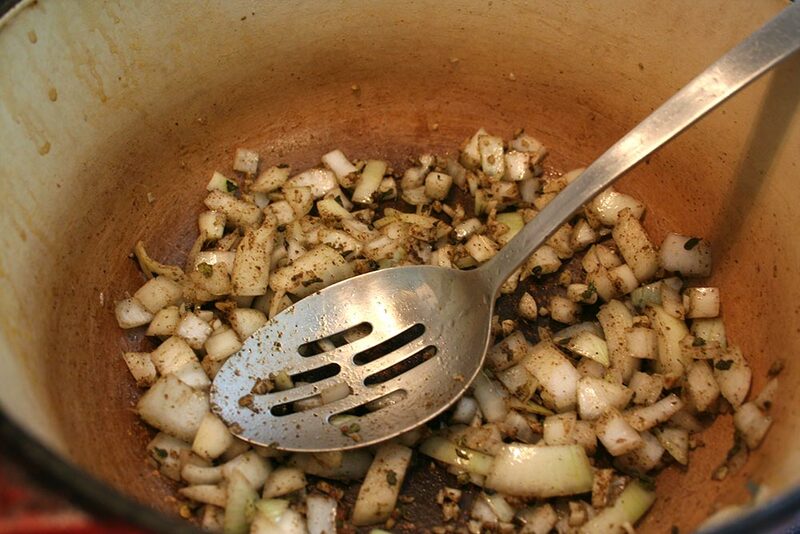 On medium heat, add tspn of olive oil to dutch oven and add onions, garlic, cumin, and oregano. Cook for 3-5 minutes until onions are soft and cumin is fragrant. 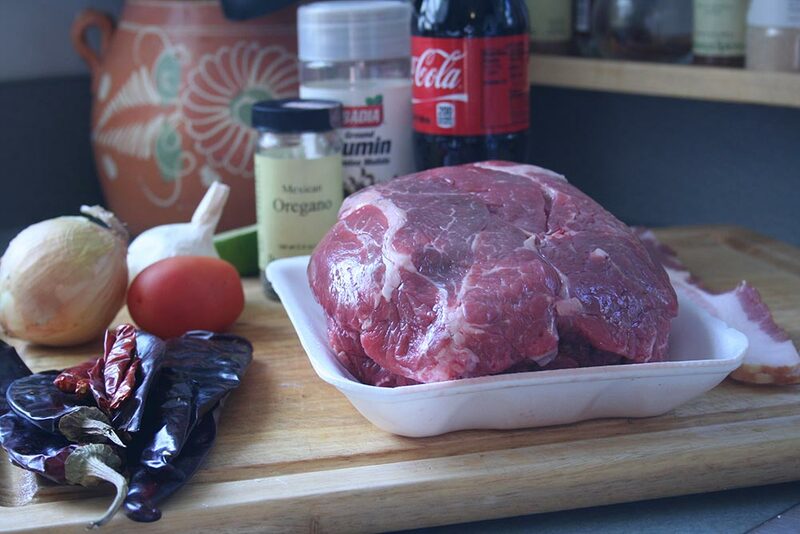 Return beef and bacon to dutch oven and add blended chile and coke mixture. Cover, and simmer for 1 hour and 45 minutes. 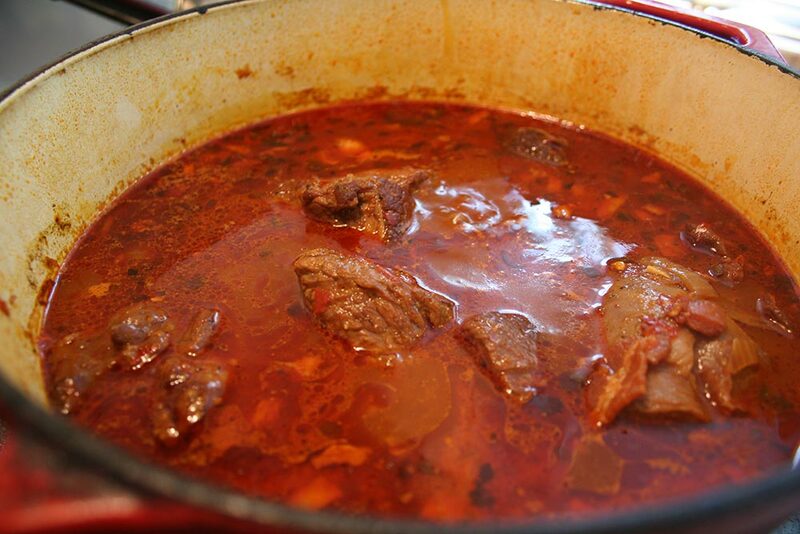 Remove beef from dutch oven. 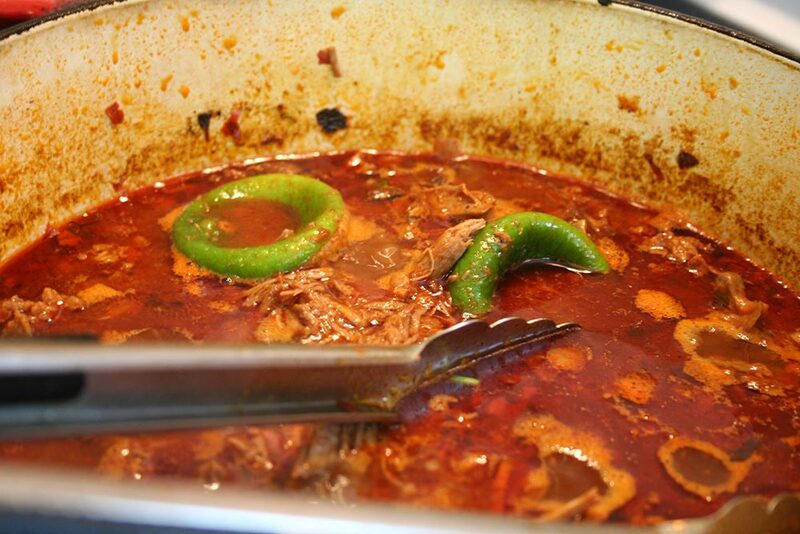 Squeeze juice of the lime into the sauce and add lime pieces to the dutch oven. Continue cooking sauce over medium heat. Shred beef using two forks. 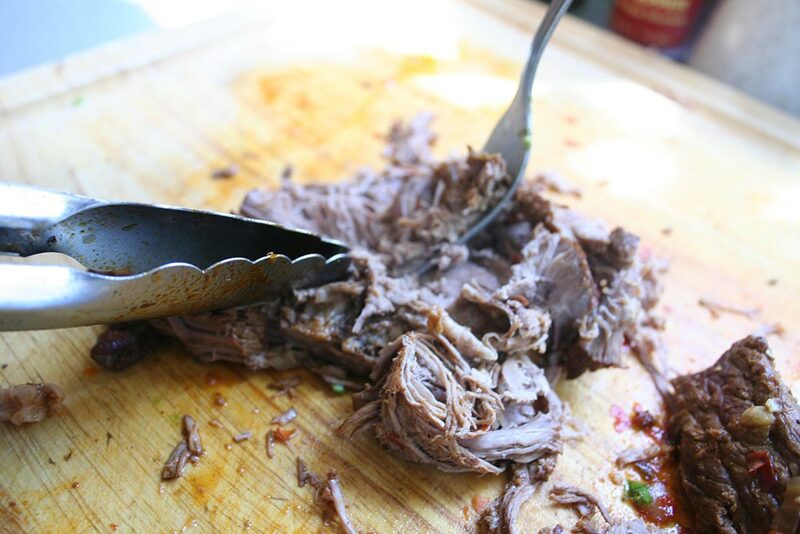 Return the shredded beef to the dutch oven and cook for another 15 minutes. That’s it. Awesome.